5. You can search for elements to add to your story from your chosen media sources.Once you find something you want to add drag it over to your story. 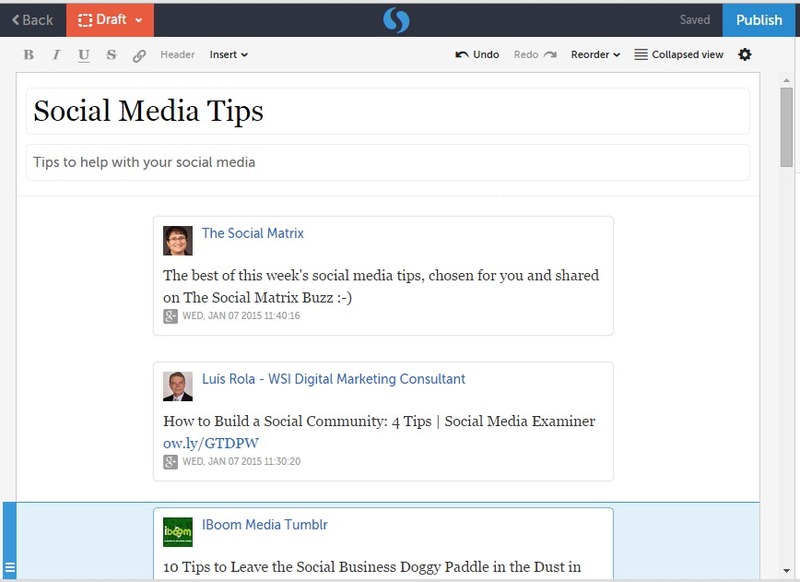 This drag-and-drop method is what makes Storify such a great platform to work with as it keeps all of the original links and functionality of the original source and embeds them into your story. 6. Now add your commentary – this step is optional but it is a great way to personalise a story and add your own unique voice. For instructions on how to add a cover image, click here. 7. It is easy to make changes to your story. 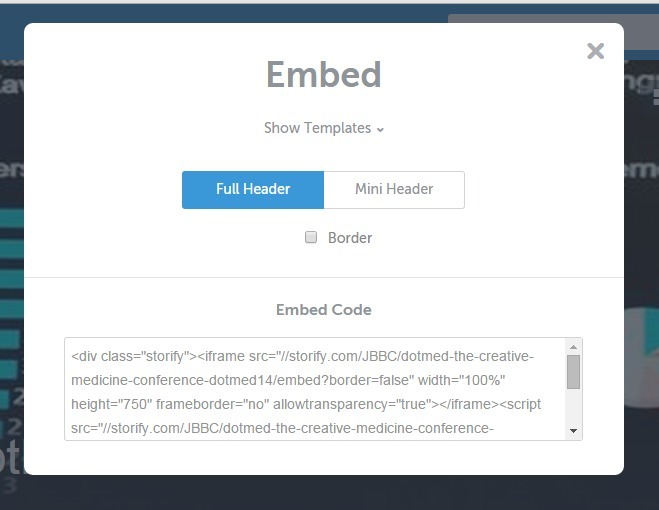 To delete an element hit the X in the right corner; to reorder elements in a story simply drag and drop. 8. When you are happy with your story, hit publish. 9. 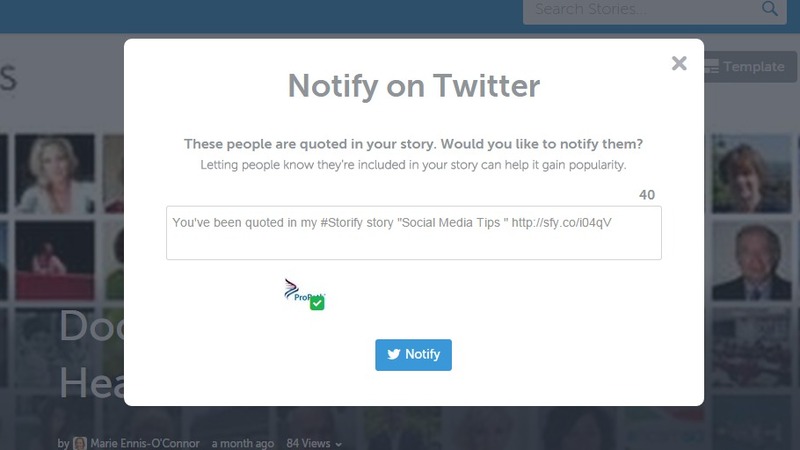 You can then notify people who have been quoted in your story, helping make it go viral. 10. You can also share your story on social networks and embed it on your website or blog. At first glance Storify may seem like a complicated platform to master, but my Storify tutorial shows you it is really quite easy and fun to tell a story online. 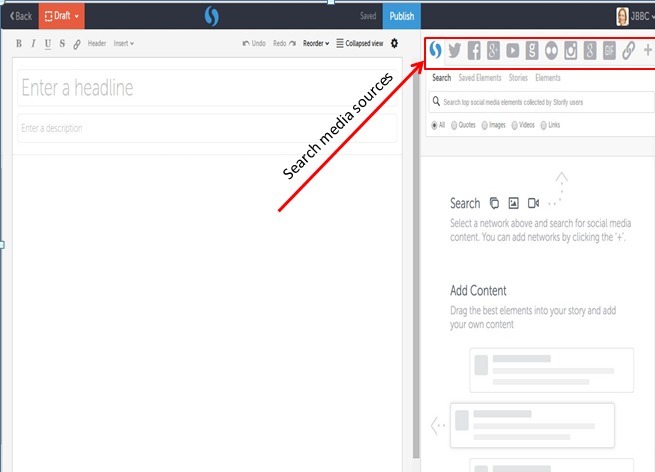 There is a lot of useful and interesting tips regarding digital storytelling with Storify! Hi Jim, thanks for commenting. They are adding new features all the time. It’s a great way to visualize a story.